And looks like this was a good decision. Sailing here at Vietnam felt easy, at a beach with palm trees and 26Â° warm water. I brought 3 Code Reds for racing to Mui Ne, a 6,2, 7,0 and 8,1 plus got three iSonics from Remi, a 86,111 and 121. The gear worked perfect. 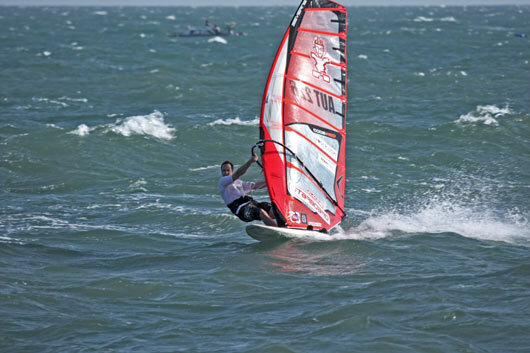 I used all sizes of sails and boards, but felt fast on 7,0 plus 111 and 6,2 plus 86. We had 2 days of racing. 4 races each day. On day one the wind picked extremely up till the end of the day – we had 30 knots of wind – and I could use the 6,2 plus the 86 in race 4. That was fun! Felt a bit like in Gran Canaria. Cyril Moussilmani had great speed in all conditions and Jimmy Diaz, who could win the first 2 races, were a super strong opponent. In one race I could stay in front of Jimmy Â and in a few races I could keep up the speed with Cyril to the first mark. Overall I lost at the jibemarks and on the way in. I made one second and 7 third positions. 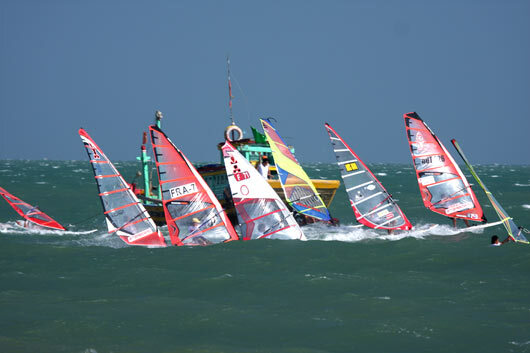 Anyway, it was great fun racing here at JibeÂ´s in Mui Ne again and thanks to Pascal Lefebvre for the great organisation. 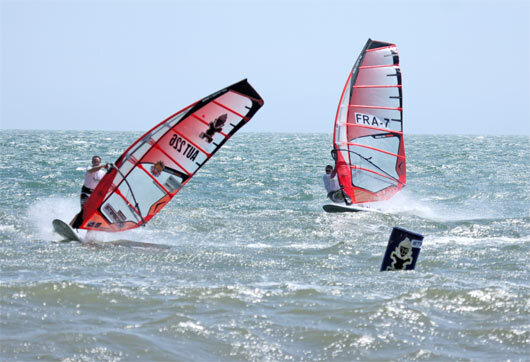 LetÂ´see if there will happen an official PWA Slalom and Freestyle competition in 2011. On the day after the competition I tested 2011 iSonics with Remi Vila. The wind was light, 7 to 15 knots. We tested the bigger sizes and I was impressed by the improvements. Now itÂ´s time to train and practice on jibing. Jibing at the inside mark followed by Remi Vila (Pic: Pascal Lefebvre). Powered up on 7,0 and 111 chased by Remi Vila on 7,5 (Pic: Pascal Lefebvre). With locked clew over the line (Pic: Pascal Lefebvre). At the start (Pic: Pascal Lefebvre).